At this point, there should be no light in the darkroom. If you can see in front of you, there’s too much light. 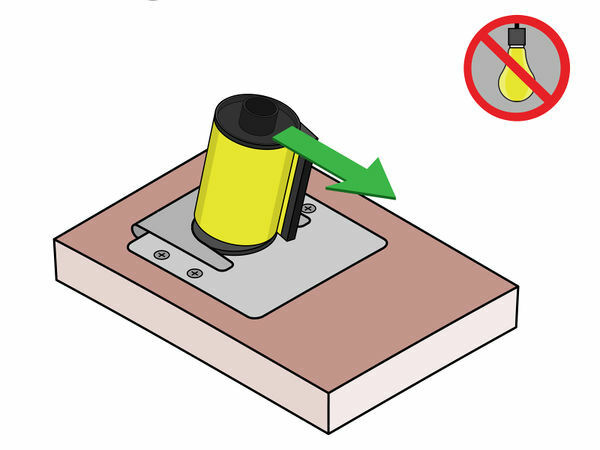 To open the cassette, hook the edge of the lid under the cassette opener. Then, bend the cassette to the side until the lid pops off. Make sure your phone is turned off and put away so it doesn't light up and ruin the film. 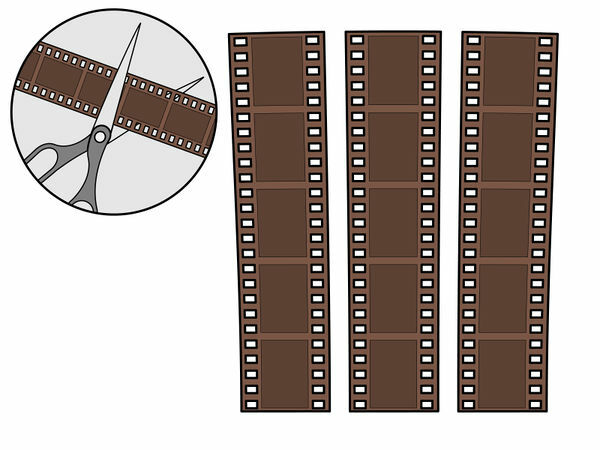 To load the film, start by holding the reel in one hand and the end of the film in the other. 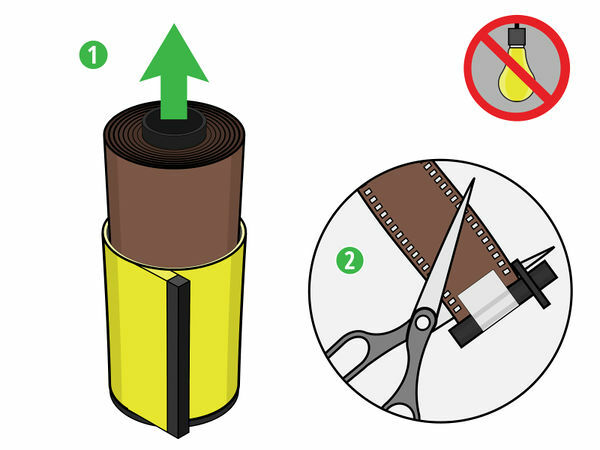 Then, find the slit on the edge of the reel with your fingers and slide the film into it. 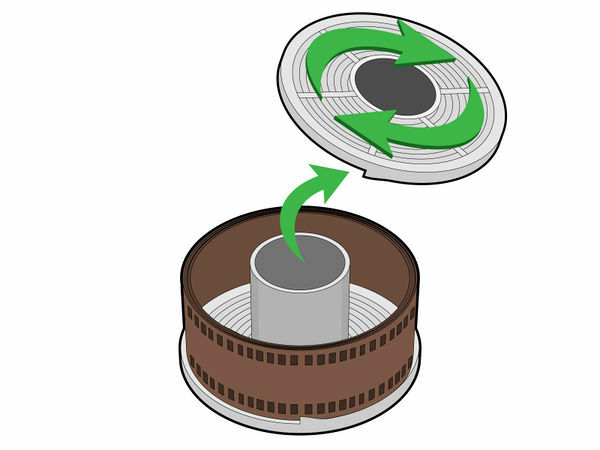 Once the end of the film is secure on the reel, twist the side of the reel back and forth to wind the rest of the film onto it. When you’re finished, all of the film should be securely wrapped around the reel. There shouldn’t be any film sticking out. 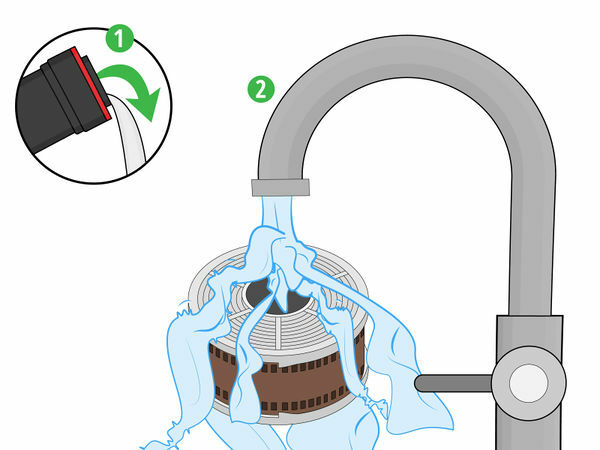 First, slide the tank’s detached core through the hole in the center of the reel. 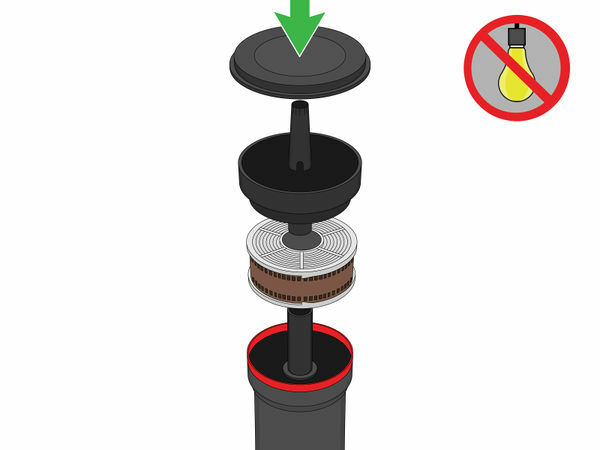 Then, place the reel flat in the bottom of the tank so the core is sticking up in the center. 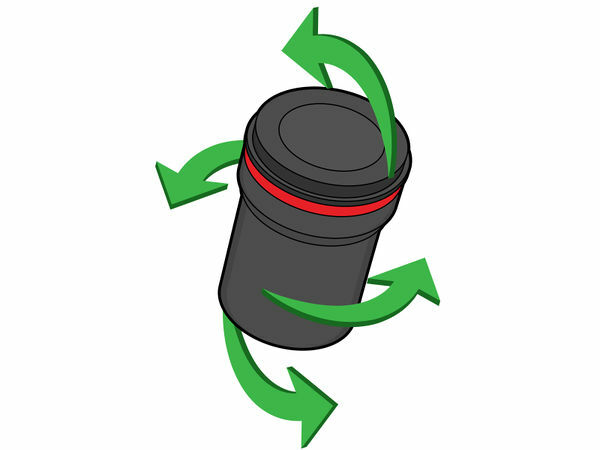 Cover the tank with the lid and tighten it into place by rotating it. When asked, "How do you learn todo all this in the dark? "EXPERT ADVICEOr Gozal, photographer,responded: "It’s really amatter of trial and error!Getting the film out of thecamera is quite easy, but it cantake a while before you get thehang of unrolling film in atotally blacked-out room. "When asked, "How do you learn to doall this in the dark? "EXPERT ADVICEOr Gozal, photographer, responded:"It’s really a matter of trial anderror! Getting the film out of thecamera is quite easy, but it can takea while before you get the hang ofunrolling film in a totallyblacked-out room. "When asked, "How do you learn to do all thisin the dark? "EXPERT ADVICEOr Gozal, photographer, responded: "It’sreally a matter of trial and error! Gettingthe film out of the camera is quite easy,but it can take a while before you get thehang of unrolling film in a totallyblacked-out room. "When asked, "How do you learn to do all this in the dark? "EXPERT ADVICEOr Gozal, photographer, responded: "It’s really a matter of trial anderror! Getting the film out of the camera is quite easy, but it can takea while before you get the hang of unrolling film in a totallyblacked-out room. "When asked, "How do you learn to do all this in the dark? "EXPERT ADVICEOr Gozal, photographer, responded: "It’s really a matter of trial and error!Getting the film out of the camera is quite easy, but it can take a whilebefore you get the hang of unrolling film in a totally blacked-out room." 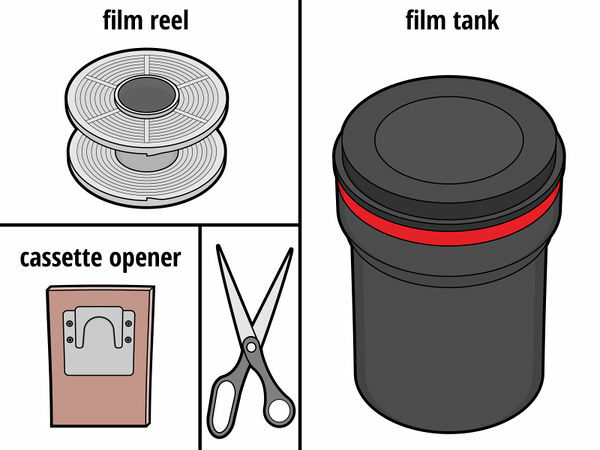 The film developer and water mixture is what you’ll use to develop your film negatives in the tank. You need enough of the mixture to completely fill the tank. The exact amount you should mix depends on the size of your film tank, but it’s usually around 16 fluid ounces (470 mL) of film developer and 16 fluid ounces (470 mL) of water. 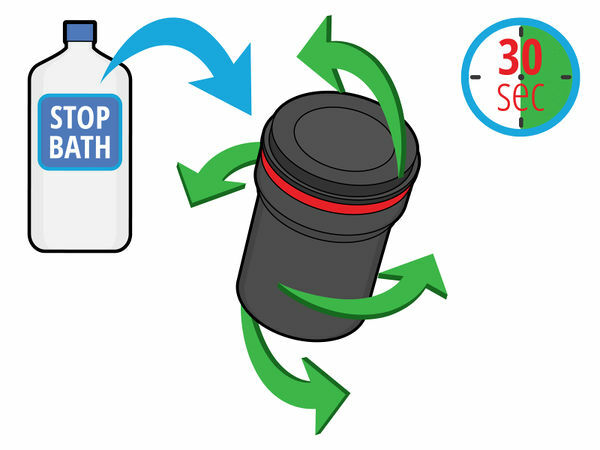 Mix the developer and water in a metal or plastic container, not in the film tank. 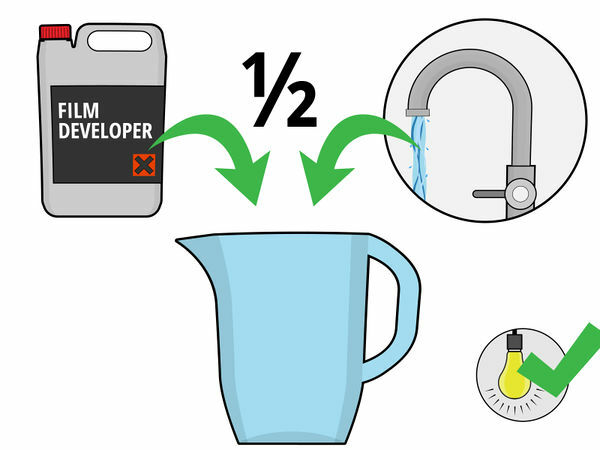 You don't need to stir the developer and water together. You can find film developer online or at your local photography store. 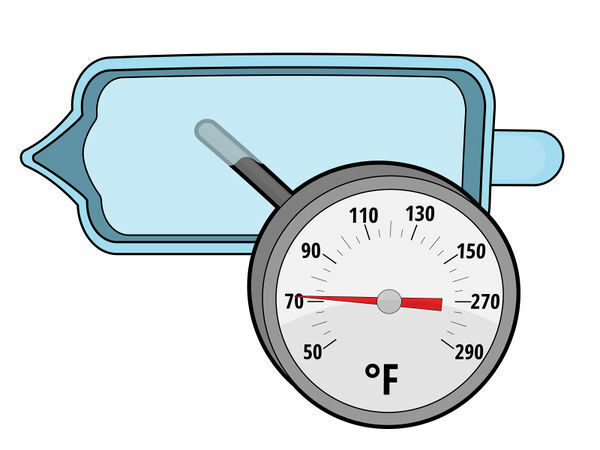 The temperature of the film developer and water mixture determines how long your film will need to develop for. 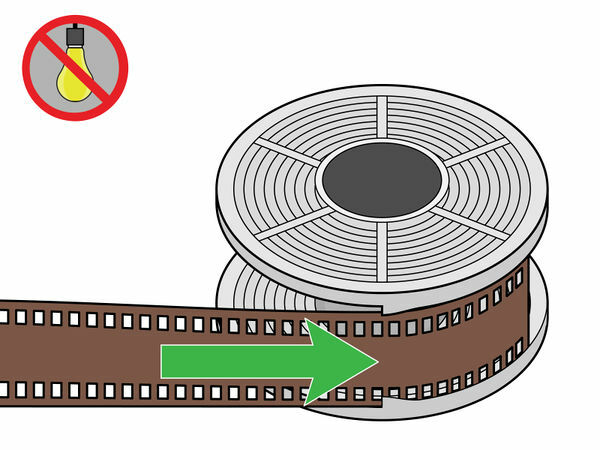 Once you know the mixture's temperature, refer to the manufacturer’s instructions for your film to see how long it will need to develop. Every kind of film is different, so it’s important that you read the directions that came with yours. If you can’t find the developing times for your brand of film, try looking them up online. 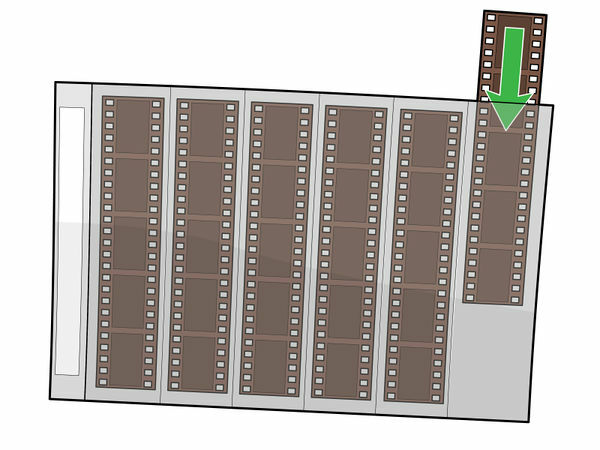 Film typically needs 8.5 to 11 minutes to develop. Agitating the film means turning the tank over continuously with your hands to help spread the developer around. To agitate your film correctly, you’ll need to use the following schedule: First minute of developing: Agitate the film for 30 seconds. 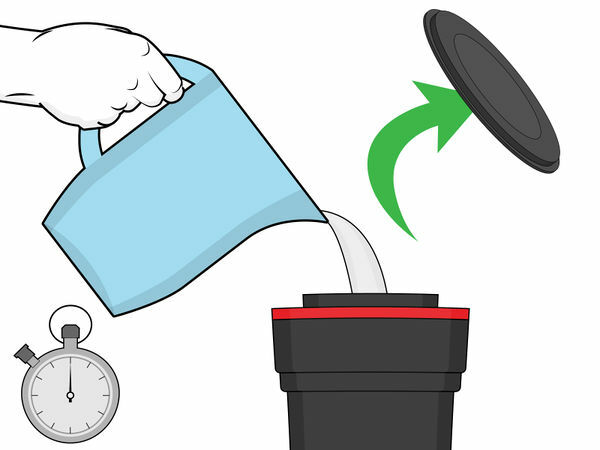 Then, place the tank on a flat surface for 20 seconds. After 20 seconds, agitate the film for the remaining 10 seconds of the first minute. Second minute of developing: Let the film tank rest on a flat surface for 50 seconds. Then, agitate the film for the last 10 seconds of the second minute. Subsequent minutes of developing: Repeat the same agitation and rest times you used in the second minute of developing for every minute until the film is finished developing. Stop bath is a liquid chemical mixture that stops film from developing any further. 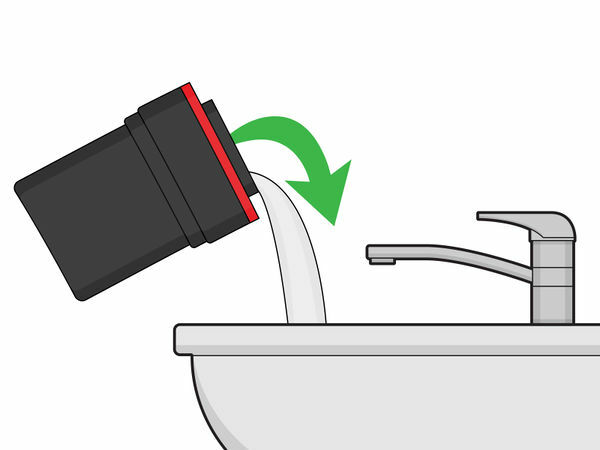 Once your tank is filled with stop bath, agitate it for 30 seconds to help the mixture spread throughout the tank. You can find stop bath online or at your local photography store. Fixer is the last chemical used in the development process. 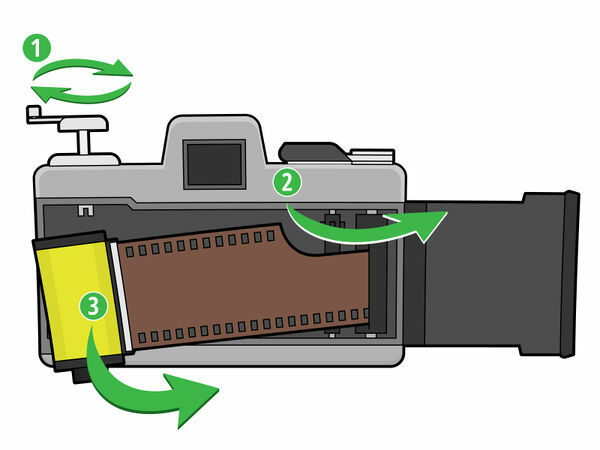 It helps stabilize your film so it can be exposed to light without getting ruined. Once your film tank is filled with fixer, seal it and follow the same agitation schedule you used for the developer mixture. 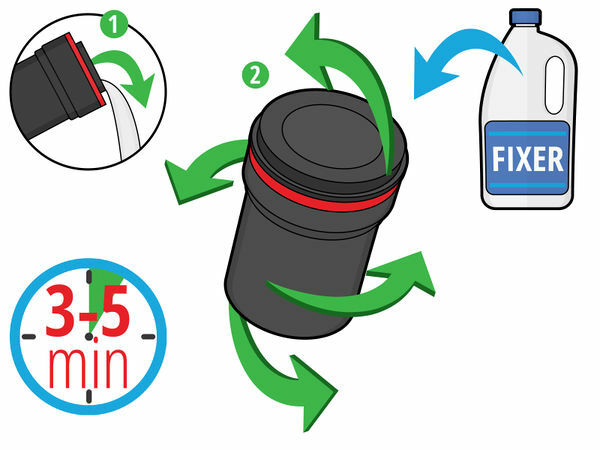 The exact number of minutes you should leave the fixer in the tank depends on the kind of film you’re using, but it’s typically between 3-5 minutes. You can find film fixer online or at your local photography store. 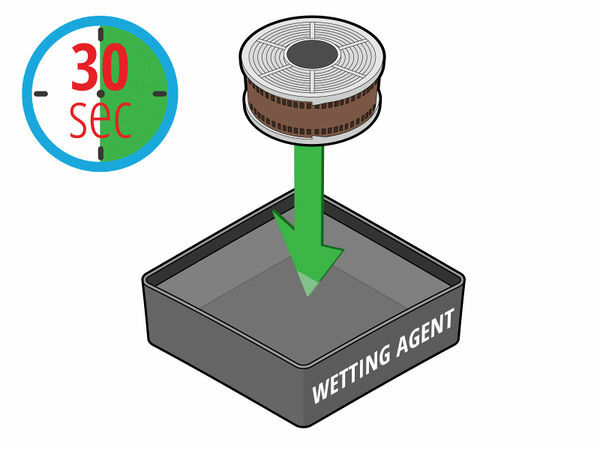 Wetting agents help water roll off the film more easily when it’s drying. If you don’t use a wetting agent, your film could develop streak or bubble marks on it. You can find a wetting agent online or at your local photography store. Use a clip to hang the film somewhere high up where it can dry, like on a clothesline or wire rack. Clip one end of the film to the surface you’re hanging it from, and attach another clip to the other end to weigh the film down so it’s taut. Let the film dry for several hours before you unclip it. If the darkroom you're in has a film dryer, hang the film up inside of it to speed up the drying time. With a dryer, it may only take the film 20 minutes to dry. 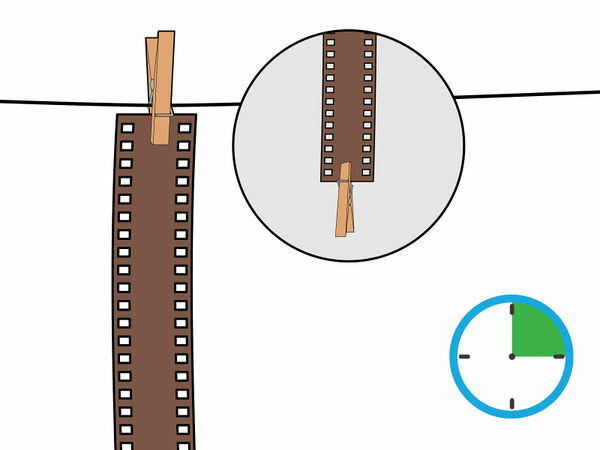 Once the film is completely dry, lay it on a flat surface and examine it for streak marks. 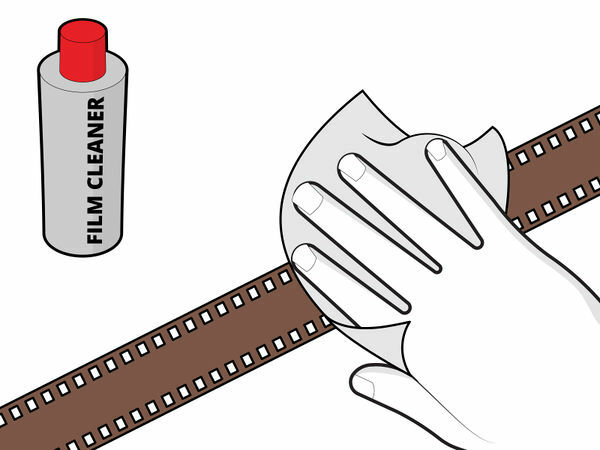 If you see any, soak a paper towel in film cleaner and gently wipe it across the surface of the film to remove the streaks. You can find film cleaner online or at your local photography store. It’s important that you keep your developed film safe until you’re ready to turn it into prints. Plastic sleeves will keep moisture, smudges, and debris from getting on your film. Leave the film in the plastic sleeves until you’re ready to make some prints out of your negatives. Store the plastic sleeves in a binder or folder when you're finished. You can find plastic film sleeves online or at your local photography store.